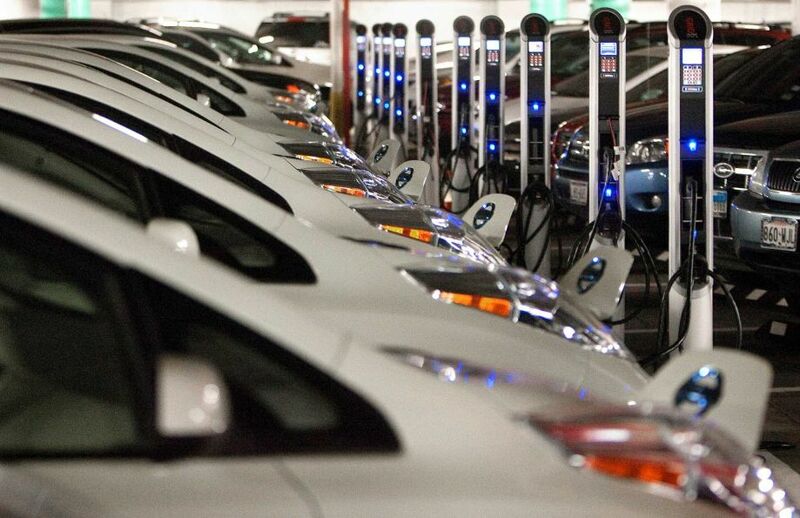 o What do you get when you cross a charging station and a smart-meter? This is the Kodak Moment for the Auto Industry. Electric vehicles are here to stay. Their market acceptance and growth will continue. Why? Not because of gas prices, CO2 emission, polar bears, wars for oil, or another global scale issue. For some people, especially us early adopters, these reasons matter, but the reason that EVs will continue to attract more buyers is because they are a better driving experience and their owners love them. J.D. Power rates hundreds of new car models based on feedback from verified owners. The buyer satisfaction ratings that they are getting for plug-in cars are consistently through the roof. Plug-in cars stand head and shoulders above gas-powered vehicles in these ratings. EVs are here to stay because owners love the quick, smooth, quiet ride they deliver and owner the satisfaction rate is higher than any other vehicle category. The latest evidence of this conviction was presented at an EDTA convention. Norman Hajjar of PlugInsights Research, fresh from his 12,000 mile Tesla roadtrip, showed data of the incredible loyalty of EV drivers. 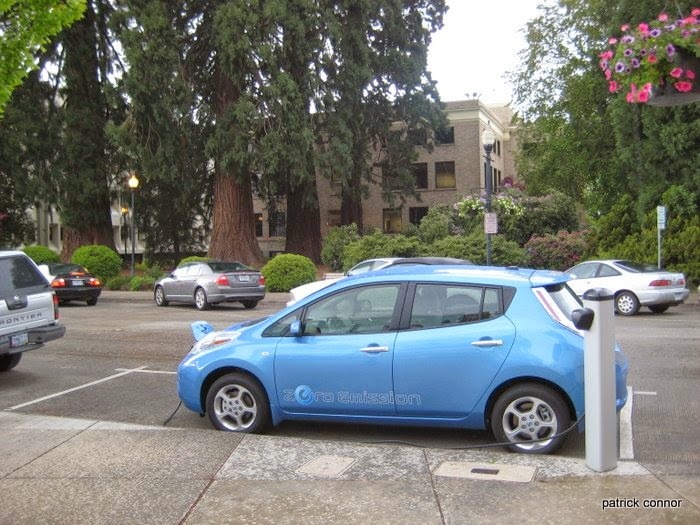 Over nine hundred EV owners were asked if their next vehicle would be gas powered or plug-in. An astounding 96.9% said they would buy or lease another plug-in vehicle. Just 1.9% would return to a conventional vehicle. EVs are smooth, quiet, responsive, quick, low maintenance, cheap to "fuel"... They are just a better driving experience and this is what will make them mainstream. To all the auto companies out there. THIS is your Kodak moment. 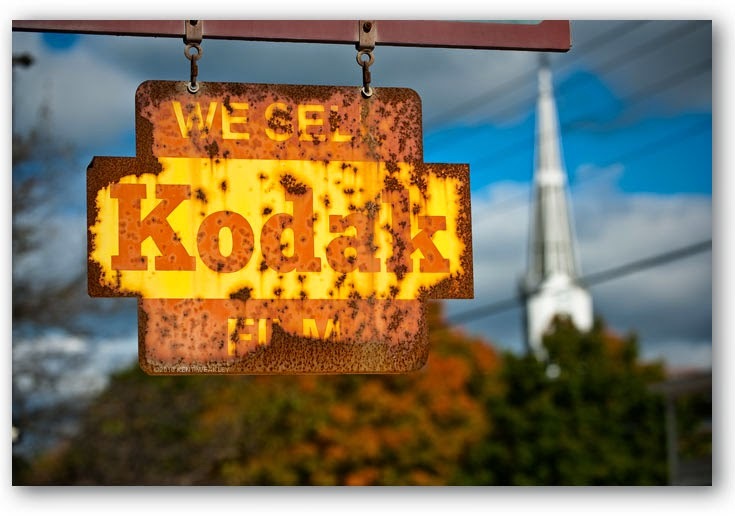 Kodak moment, in this case, does not mean a moment to capture on film; rather, it means the time in history when an upstart technology changed the game; e.g., digital photography emerged and Kodak chose to ignore it until it was too late. Traditional car and gas companies that continue with business-as-usual are at risk of becoming the next Kodak. It was easy to dismiss digital cameras when they first came out. The images were grainy, and low resolution; and early digital cameras didn't support SLR lenses. The images were really only good for sharing via email or webpages (this was before the era of social media as we know it today). Canon & Nikon, however, saw the potential, embraced the technology, and now they dominate the photo market; while Kodak (once the titan of the industry) filed for bankruptcy in 2012. Similarly, today it is easy to dismiss EVs. Critics speak of range anxiety and high cost. They say EVs don't have the range or refueling speed of conventional cars, but they are not looking at their potential. They are not anticipating that battery technology will continue to improve, driven by the demand for ever lighter, longer-lived tablets and smartphones. Batteries are getting better and cheaper each year. Compound these improvements for 4 or 5 years and long-range, affordable EVs will be available. When first introduced, digital cameras were easy to dismiss. Today, in 2014, EVs are similarly easy to dismiss. It is more important to look at where they are going, rather than where they are. Dismiss them at your peril. And the critics within the auto industry are certainly are not looking at the driver satisfaction and loyalty ratings. 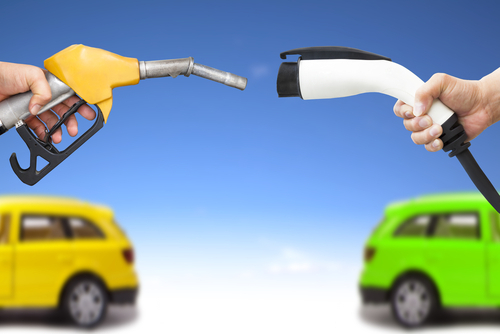 Plug-in vehicles far surpass their gas-powered counterparts in these areas. Based on this alone, a car company, any car company, that wants to make cars that their owners love, should be making plug-in vehicles. 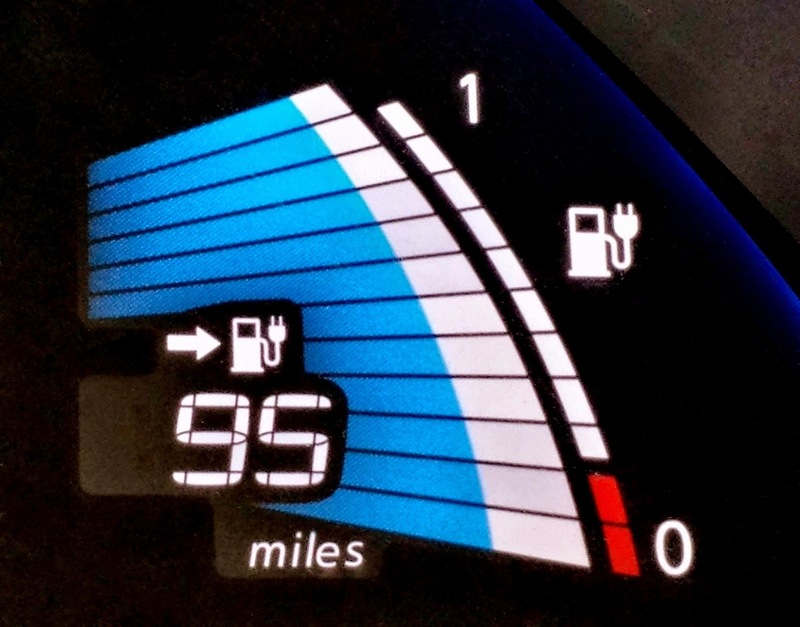 Once a driver tries electric, 97% of them don't ever want to go back to gas. Even the best stagecoach company no longer exists. If you work at an auto company that is not making at least some plug-in cars today, they are not likely to be in business 10 years from now. The new Kodak moment is about being relevant to the future rather than dwelling on the past. This is the Kodak moment for the auto industry. Car companies that are not working on plug-in vehicles, will not be in business 10 years from now. While driving on Highway 26, traffic slowed down as we approached the Vista Ridge Tunnels, as it often does during rush hour. As we slowed to a stop, I noticed the car in front of me was a Tesla Model S. "That's cool", I thought. A Model S is not that unusual of a sight around here. What are the rules for dealer plates? Can a car dealer that happened to buy a Model S put these on while waiting for the real plates? 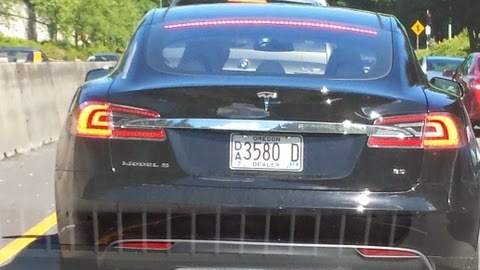 Are dealer plates issued to the Tesla company store test-drive cars? I assume, for licensing at least, a store's would fall into the "dealer" category. Are Tesla stores a direct-sales dealership or a company store? ... So many questions from one license plate. If you happen to know the driver of the above Tesla, or if you know how this car might have ended up with dealer plates, please let me know. In part 1, I talked about all the fun I have had with this car. In part 2, you saw the measured and predicted range degradation. In this finale, we'll cover the capacity bars, range estimation, & the mysterious 3000 charging events. The Nissan Leaf has a 12 bar meter to show you how much capacity the battery pack has left. These are shown on the right in the image below. As you can see, my car only has 11 of the 12 bars. 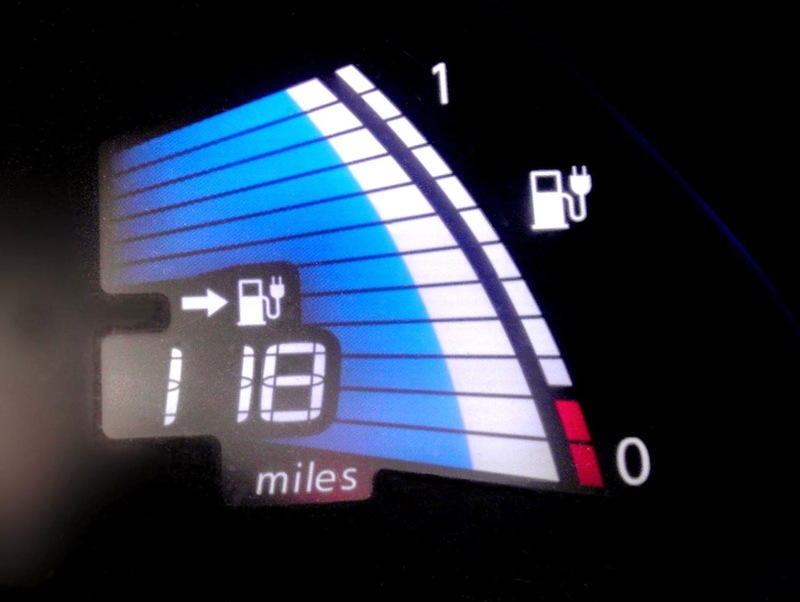 The capacity bars (right) are different from the "fuel gauge" bars (left). The bars on the left show you how full the batteries are currently. While the capacity bars on the right show you how healthy the batteries are compared to a new pack. As you saw in part 2, over time the range of a battery electric car slowly decreases. As you can see in the image above, I have lost one of my capacity bars. This happen at the 2 year 11 month mark. Nissan has said that they expect the 12th bar to the one that "goes the fastest". Meaning that the degradation rate slows as the battery ages (given similar usage and environment). This matches the battery aging model's prediction. We shall see. I started comparing notes with some of my fellow EV drivers. Several of us received our Leafs around the same time. The 12th bar seemed to started dropping at the 2 year mark for high mileage drivers here in Oregon. Now, as we approach the 3 year mark, the 12th bar is dropping away from many of the cars. Yet, there are still a few even some that are over 50,000 miles that still have all 12. This is what you would expect from a normal Gaussian distribution. One comparison example, my friend and fellow EV driver, Alan, picked up his Leaf near the same time I did and now we both have just over 26,000 miles. However, our driving and charging patterns are very different. I drive about 20 miles a day and have only taken the car on a few roadtrips. Alan only drives a few miles on most days but takes several treks from Corvallis to Portland and back monthly. He has quick charged 330 times and level 2 charged only 548 times. My car, on the other hand, has only quick charged 26 times and level 2 charged 3017 times. Yet within a month of each other we both dropped our 12th bar. From my little sample set, three years seems to be near the mean of the 12th bar's life. It would be very interesting to have access to all of the battery information that Nissan has collected. What matters most to battery lifespan & degradation? Is it ambient temp, fast charging, miles driven, age, depth of discharge... All of these are relevant to some degree. A published correlation analysis would be very informative. The 2014 Leaf no longer has the 80% charge (long battery life) option. Is this because Nissan saw that it had only a minor effect relative to other factors? Or was it simply to avoid the EPA rule changes that included this in the range estimation? Which factors matter most? Above you can new compared to three years old for my 2011 Leaf. I included these images earlier to show the capacity bars. The number in the lower left is the range estimation value. This is the car's estimation of how far you can drive given the current charge. These are far more optimistic than the EPA range estimate. These values are based on my recent driving. It is important to note that this is just an estimate. Many Leaf owners affectionately (or not) refer to this as the guess-o-meter(GOM). The value depends on how you have been driving recently. For example, if you were to drive from Timberline to Welches, OR (20 miles, nearly all downhill), the GOM would show an unrealistically high value. This estimate is based on your recent driving, not the drive that is likely coming up. Future driving condition predictions would be very difficult to get correct; whereas, past data is easy to collect and analyze, so the latter method used. 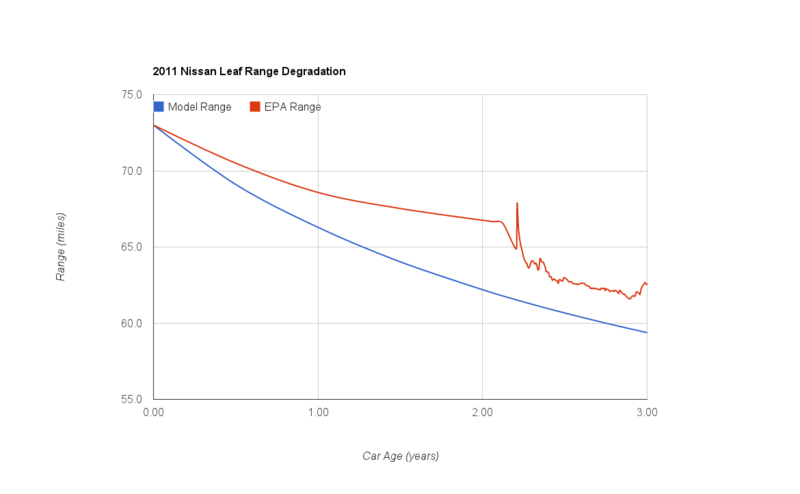 I prefer to use Leaf Spy's range estimate since it used a fixed efficiency value that can be adjusted as needed. If there is any concern that I may not make it to my destination, I can set the efficiency rate based on the route ahead that I plan on taking. This gives me a range based on my predicted future driving style rather than the drive I took yesterday. In part 1 of this series, we saw that I had over 3000 charging events. The final official count is 3017 Level 1 & Level 2 charges. Three years of ownership is only 1096 days. How could I have ~3000 charges in just ~1000 days? There are a few answers to that question. First, I only charge the car to 80% on most days. This means that if I have a lot of driving to do, then I take opportunities to charge midday. Around here, where there is a lot of infrastructure, there are plenty of opportunities to grab a few kilowatt-hours. Second, I have charging stations at work. 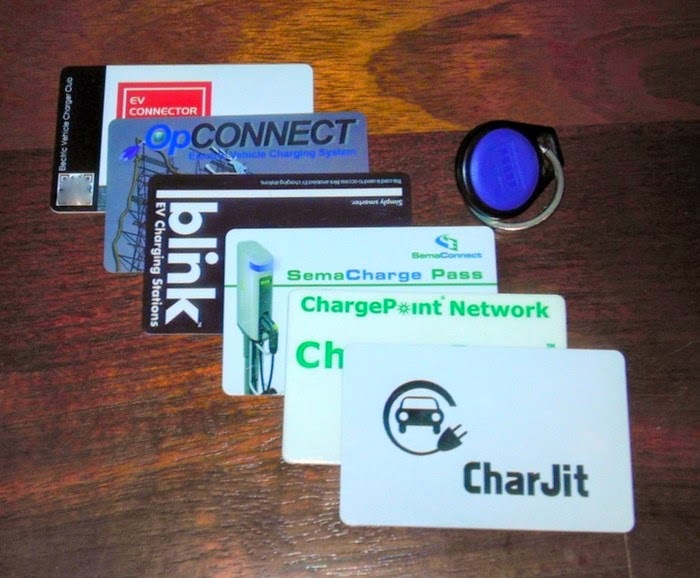 I don't use them much anymore, but for the first year I had the car, when I had one of the few EV there, I usually charged both at home and at work. The third reason I have so many charge events is that I joined (and used) all the charging networks in this region. New charging stations were being installed daily. It was a fun game to find them and plug in. 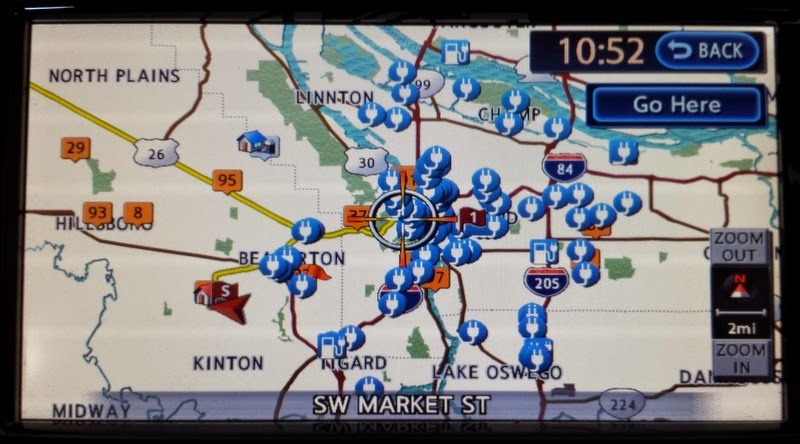 It was like geocaching for EVs. As a practical benefit, whenever the car is plugged in, it automatically added the location to the car's map. There is a simple "Find Nearest Charging Station" option in the menu. As I found more stations, it seemed like I was never more than a few blocks from a charging station. 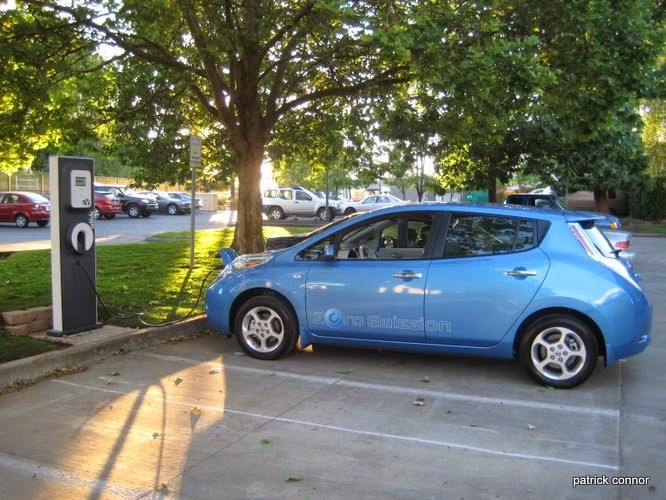 The city I work in, Hillsboro, Oregon, has more charging stations than gas pumps. It was easy to drive around with confidence that I could 'fuel up' whenever I needed to. There you have it, three years of EV driving. I have had a lot of fun. The car has performed perfectly. By not buying gasoline or oil changes, I have saved a lot of money. The only things I have replaced are the windshield wipers and cabin air filter. The tires are starting to show wear and I'll likely replace them at 30,000 miles. The range is slowly decreasing as the batteries age, but there is still plenty of range for my needs. Three years from now, I may need to start charging to 100% or that might be the time to start shopping for an electric Infiniti or a Tesla BlueStar. 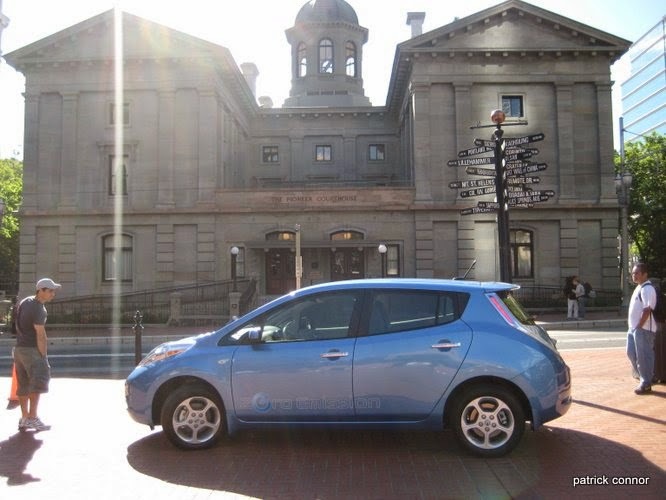 In part 1, I told you that I have been driving a 2011 Nissan Leaf since May 18th 2011. When I bought the car, my biggest concern was how well the batteries would hold up. 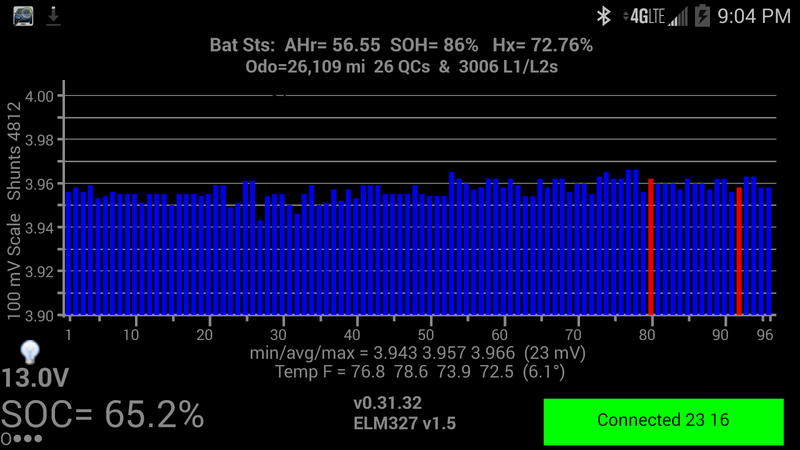 So far, I've driven the car just over 26,000 miles and fast charged (via the CHAdeMO port) 26 times. These fast charging sessions can be up to 500 Volts and 100 Amps and can cause wear and tear on the batteries. You can see a lot of information on this page and this is only one of 5 or 6 screens available. Starting at the top AHr=56.55. The Leaf started with nominally 66 AHr. The SOH (State Of Health) is currently at 86%. Next is Hx. From what I could find, only the Nissan Leaf engineers know for sure what this value is. It is reported with the other data that Leaf Spy reads so it is displayed. The current hypothesis is that this is an internal impedance value. On the next line you can see that as of early May when this was captured, I had 26 QCs (Quick Charges) and 3006 L1/L2s (level 1 or level 2 charges). The 3006 charges seemed high. I have only had the car a little more than 1000 days. How could I have charged it 3000+ times? More on this aside later. The battery health is what I want to focus on first. When Leafs in Arizona started losing capacity, this quickly became a major topic in the My Nissan Leaf forum and other EV discussion sites. 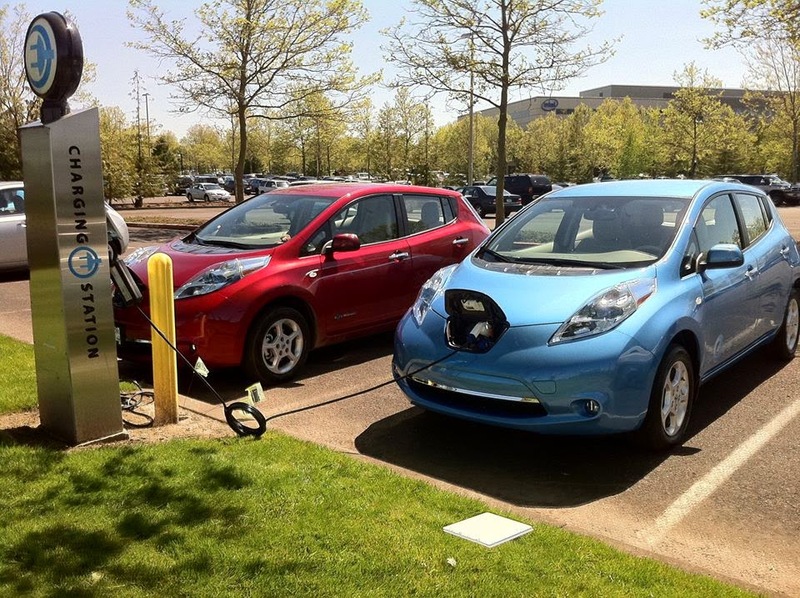 Several Leaf owners reported their capacity data. This dataset along with information about the battery chemistry was used to create a battery aging model. The battery aging model shows that degradation starts out quickly. As the batteries age, the rate of degradation slows. So I should lose less capacity over the next 3 years than I did in these first three years. I didn't start collecting data for my car until just after the 2 year mark. This is when I found Leaf Spy. Data before this is assumed. There is a sudden spike in range at about the 2.25 years mark. That is when the car had a firmware upgrade. This spike in reported capacity was common and just an anomaly from the firmware change. The actual range didn't temporarily increase. I am reporting range. This could be Amp-hours or some other jargon value. However, I selected range because that is what matters to most people. "Can the car get me from here to there (and back) on a charge?" is the question. And to answer that, range is what matters. This is the "EPA Range", not my actual range. 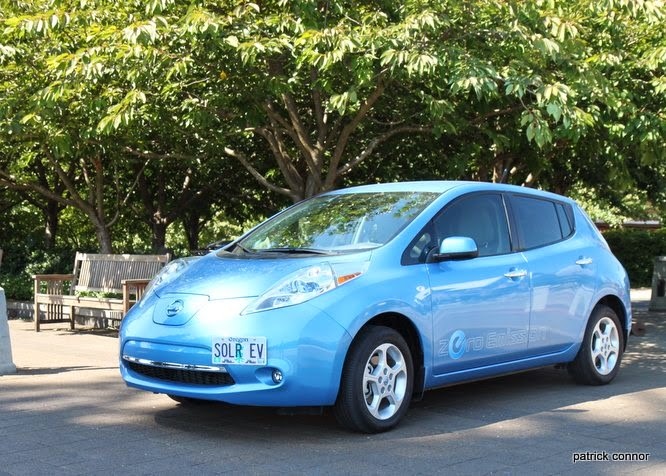 The EPA rated the 2011 Leaf as having a 73 mile range. I simply used this as a scale factor. My capacity is 86% so the range is 86% of 73 miles or 62.6 miles. My actual range is better than the EPA rating. The EPA range is nice to know since it is a conservative estimate. Looking at the graph, you might notice that the range has actually been increasing over the past three weeks or so. Battery capacity temporarily decreases in cold weather. Now that it is springtime, the days have warmed up and that range is returning. As the hot summer days arrive there will be a similar, small decrease in range. These seasonal effects will be a small annual sine wave overlayed on the general battery aging pattern. Once I have a full year's worth of detailed data, this should be visible. GOM & The 12 Bars will be final act in this three part post. 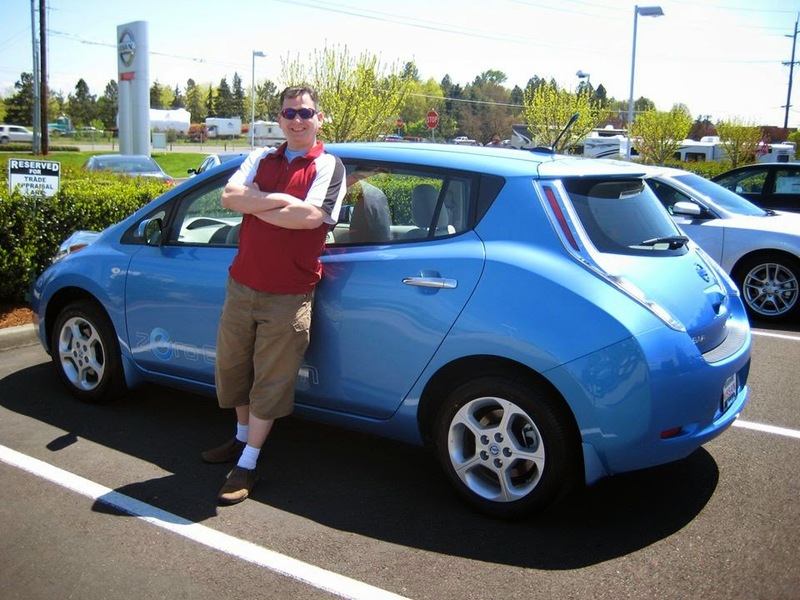 Three years ago I drove off the dealer's lot in my new electric car, a Nissan Leaf. 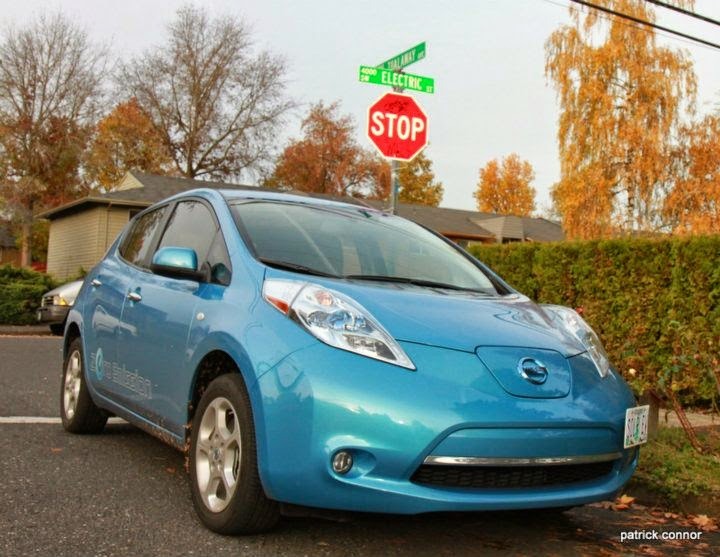 The first Nissan Leaf was delivered in December of 2010. Five months later, on May 18th, after more than a year on a waiting list, my car finally arrived. It left Japan just hours before the devastating 2011 quake hit. I loved this car immediately. It was peppy, smooth, quiet. It had enough range for nearly all of my driving. I charged it up to 100% to see what range it reported. I have had a lot of fun with this car. I drove it in parades and showed it off at Earth Day and other eco-friendly events. 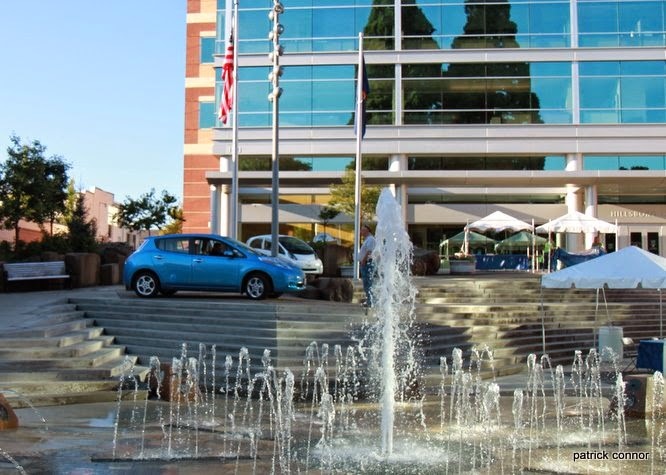 When I was not in parades or parking atop fountains, the Leaf was my daily driver. It hauled me to work and all around the various jaunts on "the island" of places I frequent. During this three years of driving, we have never run out of juice. I had it down to 5 miles of range, but I've never run out. And with all the charging stations around here, I am not worried about it. Worst-case is that I need a 10 minute stop to grab a few kWh. I admit that I was concerned about being an early adopter when I first bought the car. I was specifically concerned that the batteries were not liquid cooled. Here in Oregon, that was not a problem. In Arizona and other hot places, it was. I have no regrets about buying the car. Three years later, I still love driving it. And now, little things like keyless entry and bluetooth are must-haves for my next car. Part 1 here was the touchy-feely portion of the 3 year story. If you want to see the numbers (how many miles, what is the range degradation after 3 years...), then read part 2 tomorrow. Tesla Motors CEO Elon Musk live from D11 - The Verge: "Even if hypothetically emitting carbon was good for the environment, the scarcity of it would mean we'd eventually face incredibly high fuel costs and the economy would grind to a halt." Note: I was asked to write an article called How Elon Musk Is Changing The World by the editor of Green Living. He gave me a brief outline. Below is is the draft ~1700 words I wrote. He read it, liked it, but said that it had to be ~1400 words, or ~2500 words and split into a two part story. He said that he'd co-author the story and expand it into a two-parter. As you'll see below, I focused on Musk's methods. He restructured the article and added the achievements of companies that Elon helms. He made many improvements to the story. The Green Living article is now different enough from the below story that I feel OK that sharing this one will not detract anyone from reading the Green Living story. If you have ever used PayPal for online payment, you can thank Elon Musk for making it possible. He built PayPal into the most successful online payment exchange in the world. So successful, in fact, that in 2002 eBay bought it for 1.5 billion dollars, making him very wealthy at just 31 years of age. Many of us might have taken these riches, bought a small island, and enjoyed a steady stream of umbrella drinks. Elon, on the other hand, took his personal fortune and founded two companies (SpaceX and Tesla) and he is on the board of a third (Solar City). With these three companies, he has the express goals of transitioning the world to renewable energy and making life multi-planetary. These are audacious goals. Currently, all three companies are enjoying success. Solar City is the largest provider of solar energy systems in the United States. Both Solar City and Tesla are publicly traded companies and market darlings. Tesla is selling cars as fast as they can produce them, and they already have over 12,000 pre-orders for their 2015 crossover vehicle. SpaceX has a $1.6 billion contract to supply the International Space Station and was the first commercial company to dock with it. Elon Musk has changed banking, transportation, renewable energy, and space exploration. He has received dozens of awards. He was named in Time Magazine's 100 people who most affected the world. He was named as one of the 75 most influential people of the 21st century by Esquire magazine. Forbes listed Elon as one of “America's 20 Most Powerful CEOs 40 & Under”. He was recognized as a Living Legend in Aviation by the Kitty Hawk Foundation. R&D Magazine gave him the Innovator of the Year award. Fortune named him as the World's Top Eco-Innovator. How has one man been involved in such diverse areas and been so successful each time? Is Elon the 21st century's version of Henry Ford and Thomas Edison? Despite each of Elon’s companies being in vastly different technologies, they have one important thing in common: they were disruptive. They broke new ground and did things differently than any business that came before. This is because they were started from a different perspective than most companies. Why? Because Elon just thinks differently than most people. His background is in physics and engineering. He uses the models of thought from these disciplines in all of his problem solving, whether it is how to sell cars or how to launch a rocket. If you reason by analogy, then you end up doing things similar to other companies. First Principles, on the other hand, can lead you to uncharted territories. First Principles is a formal logic method. It means that you start from facts, rather than opinion. 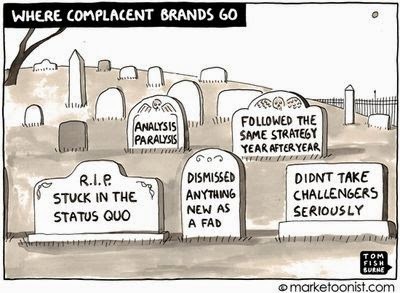 You question assumptions; you ignore the status quo. You use reasoning and math to derive your answer. When you come to a conclusion that is counterintuitive, then you have something interesting, a potential disruptive breakthrough. A simplified example for Tesla Motors in 2008 might be: Crude Oil is a finite resource that will run out. Consumer electronics is driving compounding improvements in battery technology each year. Given this, within ten years electric cars will be priced similar to their gasoline counterparts and be far cheaper to operate and fuel. SpaceX was founded with the objective of being the transportation method to colonize Mars. Applying First Principles to this would yield: Most space launches cost hundreds of millions of dollars. Given this cost, the multiple round trips needed to establish and supply a base on Mars would be cost prohibitive. Therefore SpaceX’s first challenge is to make flights to and from Mar significantly cheaper. Looking at the cost of a rocket launch today, less than one half of one percent of this cost is the fuel. The majority of cost is the rocket itself and these are destroyed as they are used. As successive stages ignite, the used part of the rocket drop away and are left to burn up in the atmosphere or crash into the ocean. The next launch starts from scratch. Imagine if each cargo ship that came in from China were sunk after the cargo was unloaded or if airplanes were shredded after a single flight or if you had to buy a new car each day for your commute. It would certainly be much more expensive to travel. This is the model that are using for rockets today. First Principles says that SpaceX must have a reusable rocket. Elon has said that he expected both Tesla and SpaceX to fail as companies. Tesla, he expected, would disrupt the market, accelerate the major auto companies to produce EVs and Tesla would become only a footnote in history. That is not what happened; instead, the big auto companies were slow to change and left the door wide open for the startup to grow and become a publicly traded company. And as for product innovation, he has a similar approach, “Failure is an option here. If things are not failing, you are not innovating enough.” The early versions of the Tesla Model S had cameras rather than mirrors. However, the company failed to convince the regulators that this met the needed safety requirements. When you are blazing new ground, you don’t have the years of built up trial and error. When you are in uncharted territory, unexpected things are going to happen. In the auto industry, even in well-established product lines, things occasionally go wrong. With the Tesla Model S, there were three battery fires. Even though no one was injured, Tesla didn’t wait ten years to address the problem. They quickly released a software update to raise the ride height while they investigated. 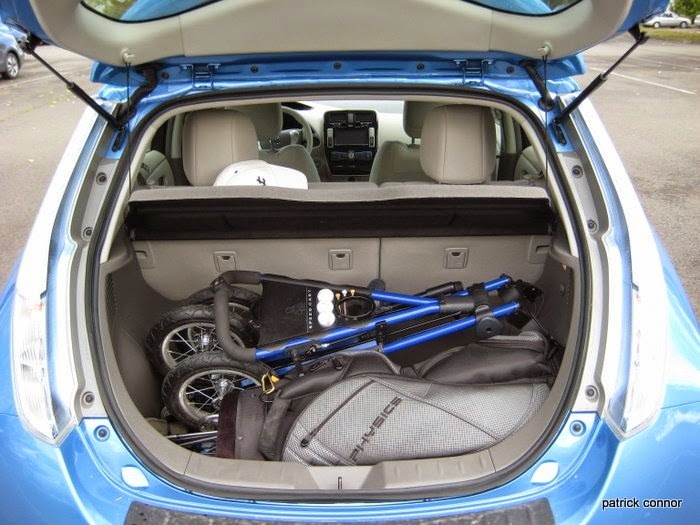 The cars have ballistics-grade aluminum on the bottom to protect the batteries. Their analysis found that in rare cases, road debris could pierce the front of the battery compartment, bypassing the bottom shield. The company responded by adding a deflector plate and titanium shielding to cover the front of the battery compartment. As for SpaceX, they started their vertical takeoff and landing tests with a three second 6-foot high flight. They have continued to increase the height of each flight and have moved to a larger rocket called the Falcon 9. Soon they were flying a thousand meters into the sky. On April 18th the Falcon 9 lifted off from Cape Canaveral with cargo for the International Space Station. The Falcon 9 launch vehicle featured something that no other first stage space rocket had ever had before, landing legs. After delivering the Dragon capsule into orbit, the Falcon 9 fell away and attempted to “soft land” in the Atlantic. Unfortunately, according to Elon Musk, due to “13- to 20-foot waves… It’s unlikely that the rocket was able to splash down successfully.”. Elon Musk is no stranger to the inside of a courtroom. Tesla has been sued by auto dealership associations in several states because of their sales model (which does not use dealerships). SpaceX is currently in a suit with the US government over the way that ‘no bid’ contracts are issued. Whatever the industry, there are those that are entrenched and benefiting from the way things are and they are going to fight to keep it that way. If you want to get things done in a new way, be ready to fight for it. Seeking feedback is important, but you must be very selective of who you trust to fill this sounding-board role. 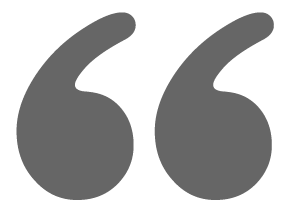 It is too easy to find someone that will tell you just to do things as they have been done before. Similarly, you don’t want a cheerleader or Yes-man that provides no constructive criticism. Elon is lucky enough to be friends with Larry Page and Sergey Brin, the founders of Google. These are people that understand innovation and thinking big. There is no question that Elon Musk thinks big. People that work at SpaceX and Tesla know that if they are successful, they will be part of something that changes the way we live. This article started by asking if Elon Musk was the 21st century's version of Henry Ford and Thomas Edison. There is no question that he is an innovative thinker that has already left an impression on history. Only time will tell if it is of the magnitude of Ford and Edison or just a footnote in the transportation chapter. vehicle was sold on Cinco De Mayo! Celebration! 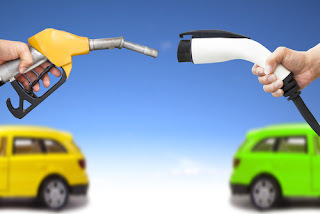 o Which is cheaper to drive, an old gas car or a new Leaf?